March 20, 2019, Kleinburg, ON – The McMichael Canadian Art Collection is pleased to announce an exciting and innovative 2019–2020 season of exhibitions. Led by Chief Curator Sarah Milroy, the McMichael will present a variety of ground-breaking exhibitions that continue to further the gallery’s mandate to protect, preserve and promote the art of Canada. Louie Palu’s work was supported by funding from the John Simon Guggenheim Memorial Foundation, National Geographic Magazine and Pulitzer Center. This exhibition is part of the Scotiabank CONTACT Photography Festival. The McMichael Canadian Art Collection is pleased to present a retrospective of over 80 drawings and ephemera by Itee Pootoogook (1951–2014) as part of an ongoing analysis of the careers of contemporary Inuit trailblazers. 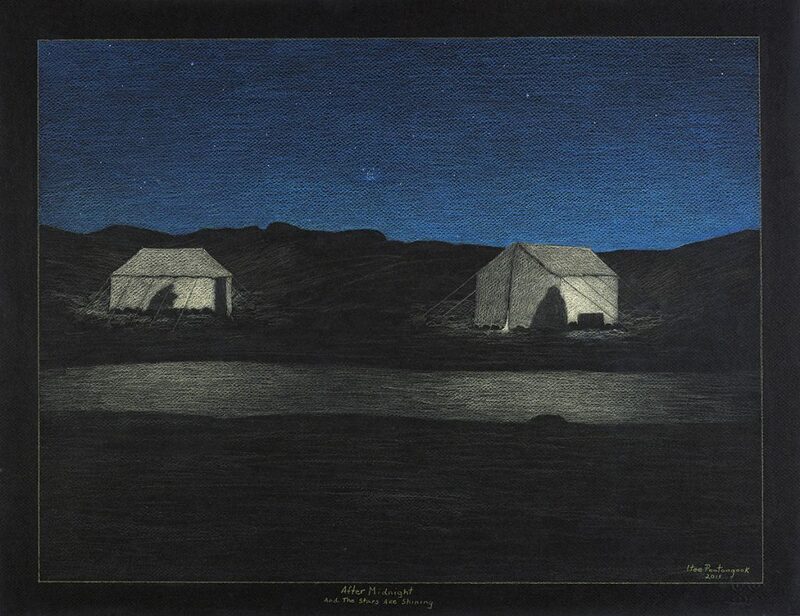 One of the key members of the third-generation of Inuit artists from Kinngait (Cape Dorset), Pootoogook contributed to the transformation and reshaping of the creative traditions that were successfully pioneered in the second half of the 20th century by members of the West Baffin Eskimo Cooperative at Kinngait Studios. This exhibition is curated by Dr. Nancy Campbell. One of Canada’s most beloved folk artists, Maud Lewis (1903–1970) is known for her brightly-coloured paintings of rural Nova Scotia. Working from her cabin on the side of a highway, she produced hundreds of small works that captured the rapidly-changing aspects of country life. This exhibition will emphasize the aesthetics of Lewis’ achievement, looking carefully at her serial repetition of images and motifs across her career, and the dizzying variety that she brings to the problem of picture making. Into the Light: The Art of Lionel LeMoine FitzGerald, is a comprehensive and diverse examination of the lasting impact of Lionel LeMoine FitzGerald (1890–1956), the last member to join the Group of Seven, and the only member to live in Western Canada. Co-curated by McMichael Chief Curator Sarah Milroy and Executive Director Ian A.C. Dejardin, the exhibition will present more than 200 paintings, drawings and prints in partnership with the Winnipeg Art Gallery. Among the treasures of the McMichael Canadian Art Collection is a group of 54 jewel-like miniatures by the artist Clarence Gagnon (1881–1942). Completed in the early 1930s, this group of work was made for what is arguably the most famous illustrated book by a Canadian artist: Maria Chapdelaine, a novel written by the French novelist Louis Hémon (1880–1913) and published in 1933. Due to conservation concerns, these artworks can now be only displayed once every three years, and the McMichael is pleased to announce that they will be on view in the winter of 2019. Ian A.C. Dejardin, Executive Director of the McMichael Canadian Art Collection, has delved deep into the gallery’s vaults to personally select artworks for an ongoing and ever-evolving exhibition showcasing the diversity of Canadian art. Dejardin promises many classic favourites, but also some that have been rarely seen, including works that might surprise an audience familiar with Canadian art. Media wishing to request high-resolution images of the artworks are requested to contact Sam Cheung at scheung@mcmichael.com or 905.893.1121 ext. 2210.